Mobile apps have ‘reformed’ us in more ways than we can imagine. Let’s think about our daily need to motivate and push ourselves into action. Thanks to the glut of motivational apps on the Android market, goading yourself into action is now just a pocket away. Inspiration and motivation comes to each of us in many forms. For some it could like in words of wisdom, for others it could lie in uplifting images, and for a few it could be in a germ of an idea. The Android universe has an app for most of our inspirational needs, so let’s check out the Android Market and see which motivational Android apps can give us the daily dose of motivation that we need when we flag off. Inspiring quotes are probably the easiest way to motivate ourselves by a little each day. There are quite a lot of quote collections that can be found by the way of apps, but this one is the most popular. Unlike the one-quote-a-day variety, you can refer to the wisdom sayings any time you want. The app is also well designed with very few controls. You can easily share a liked quote with your social network and there could be many in the 670 quotes that this app carries. It works with Android 1.6 and above. Motivation falls by the wayside if you don’t have goals to aspire to. GoalTracker helps you keep sight of your goals. GoalTracker is simple to set up – you list your goals one at a time and assign it to two types. Yes/No for things like – Did I exercise today? Numeric for things which you need to quantify like the number of pages you read. Each individual goal can be assigned an interval (daily, weekly, monthly), start and end days, and a target value which is like the score for achieving this particular goal. You can put different goals in different categories and also embellish the goals thumbnail with pictures. You can track goals every day and also set reminder alerts. It works with Android 1.6 and above. Remember when we talked about the Bucket List 100 Things to Do Before I Die: 6 Sites To Create Your Own List 100 Things to Do Before I Die: 6 Sites To Create Your Own List Read More ? Looking at the response that came in made me realize that most of us have one tucked somewhere. This free Android app helps you create one on your phone. It’s the to-do list for your entire life. You can share your list with others and get inspired and also inspire others along the way. The Bucket List allows you to easily enter your life to-dos and set their priority levels. You can cross each one as you set out to achieve them. It works with Android 1.5 and above. Ideas can motivate us. More so if you decorate them with colors. And Rainbow Idea is a dead simple Android app that takes ideas and arranges ideas around colors. Ideas can be given any color out of the seven colors of the rainbow for one particular theme. Ideas can be displayed as color circles, blocks, or list. The developer likens the app to a simple mind map. It works with Android 1.6 and above. All the wisdom in the world won’t be able to help you if you cannot quiet your mind. Zen and the art of meditation would be a bit farfetched to attain in a short time, but you can start with short bursts of meditation. The Meditation Helper is a timer which helps you along by allowing you to set a target and logging how many consecutive days you are hitting it. If practice makes perfect, then this app attempts to aid you in that with its simple start and end chime. It works with Android 2.1 and above. The other meditation timer you can take a look at is Meditation Support Timer. Here’s hoping these five motivational Android apps give you a better range to work with when you hit the dips. 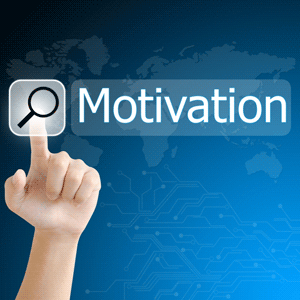 Do you have an Android app installed that injects some inspiration or motivation each day? Let us know about it in the comments.